/INS. Kotkamills’ new consumer board machine, BM2, has started production in Kotka, Finland. A range of folding boxboards will be produced under the brand name AEGLE and a range of food service boards under the brand name ISLA. BM2 is the first machine in the world to have the capability to produce dispersion barrier coatings directly on the machine, producing barrier boards that can be recycled with normal paper waste due to having zero plastic content. “The interest in our new sustainable products has been massive. The new machine offers a wide range of interesting possibilities for converters, brand owners and designers alike. Another of the machine’s unique features is the ability to produce board with a silk matte surface, providing brand owners the possibility to make their product really stand out,” says Markku Hämäläinen, CEO of Kotkamills. The Consumer Boards business will serve two main market areas. The first is the market for the production of packaging for food, confectionery, pharmaceuticals and cosmetics. The second is the market for food service boards for disposable cups and plates. All products are based on Nordic fresh forest fibres and come with the unique possibility of the addition of on-machine dispersion coated barriers to replace the non-renewable plastics traditionally used. 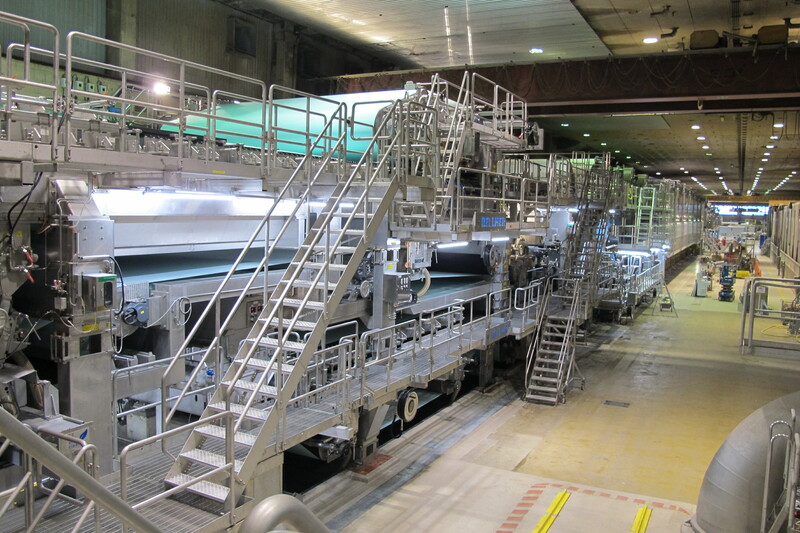 The new machine will provide an increase to the environmental performance of the site by significantly decreasing the consumption of electricity and water compared to the former paper production process. The consumption of water per tonne of CTMP will be almost halved compared to earlier. Kotkamills is a responsible partner that delivers renewable products and performance to its customers’ processes via product innovations created from wood, a renewable raw material. Our key brands include Absorbex® and Imprex®, both innovative laminating paper products for the laminate, plywood and construction industries. Moreover, Kotkamills offers ecological, technically sound and visually attractive wood products for demanding joinery and construction. In summer 2016, Kotkamills will start-up a new cartonboard machine designed to produce folding boxboard and food service boards for consumer markets, including the capability to add barriers on-machine. All Consumer Boards material solutions will be fully recyclable and repulpable. Kotkamills has two production sites in Finland, located in Kotka and Imatra, and a subsidiary L.P. Pacific Films for Imprex® production in Malaysia. The majority shareholder of Kotkamills is MB Funds, a Finnish private equity firm. AEGLE Zero. The natural choice. Environmental sustainability increased in significance during the early 1990s. An anaerobic effluent treatment plant started up in 1990. Energy production was modernised with the advent of a new combined heat and power plant in 1993. The natural-gas-fuelled plant boasts greater efficiency and is more environmentally sound. The power plant also made the mill self-sufficient in terms of electricity. Stora Enso Kotka Mills become Kotkamills Oy under the new owner OpenGate Capital. A decision was made to invest in a plant for the treatment of recovered fibre. The new production line is expected to be fully operational in 2011. New Finnish owner from March 2015 onwards, majority owner MB Funds. Over EUR 100 million investment in converting printing paper machine to produce high-quality folding boxboard and barrier board, to be completed in summer 2016.